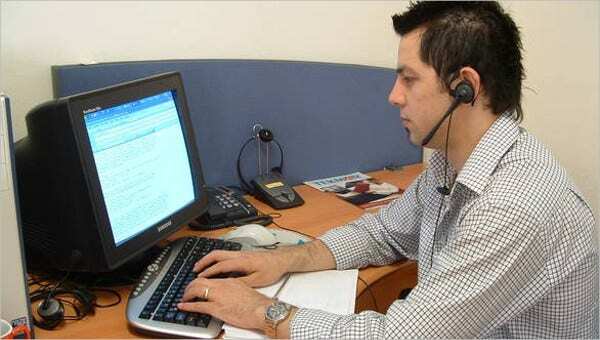 Working at a call center has become a hot new trend. From students to graduates and postgraduates, there are scores of people out there who are looking to work at call centers and BPOs. 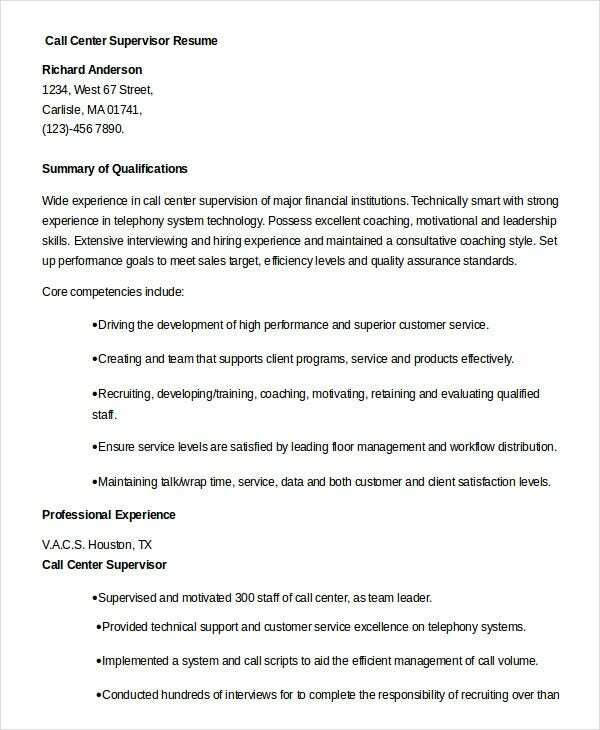 To make it easy for such job applicants, we have a wide range of ready to use BPO resume templates, customer service resumes, and call center resume examples. These Resume Templates are available in a wide range of formats; they are easy to download and can also be edited to suit the requirements of the user. 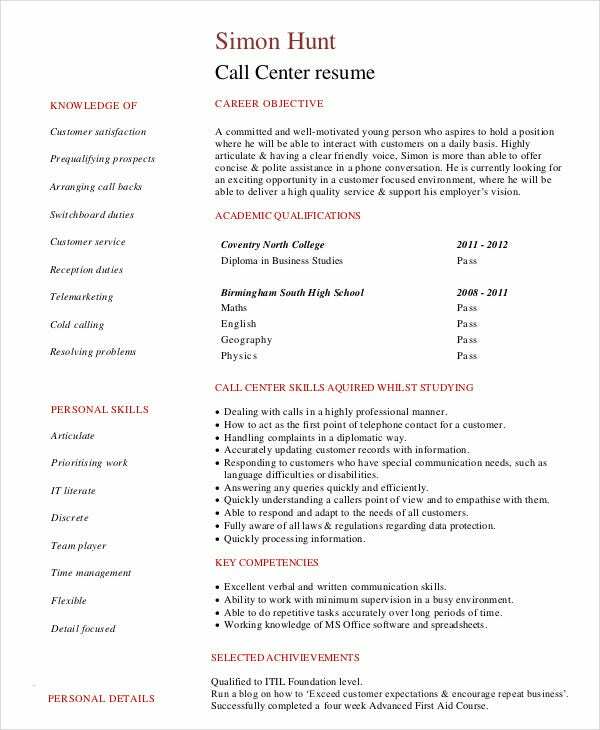 Students who are looking to get a job at a call center can use the student call center resume template. The career objectives of the student, his academic qualifications, personal skills and other information can be added to this template. 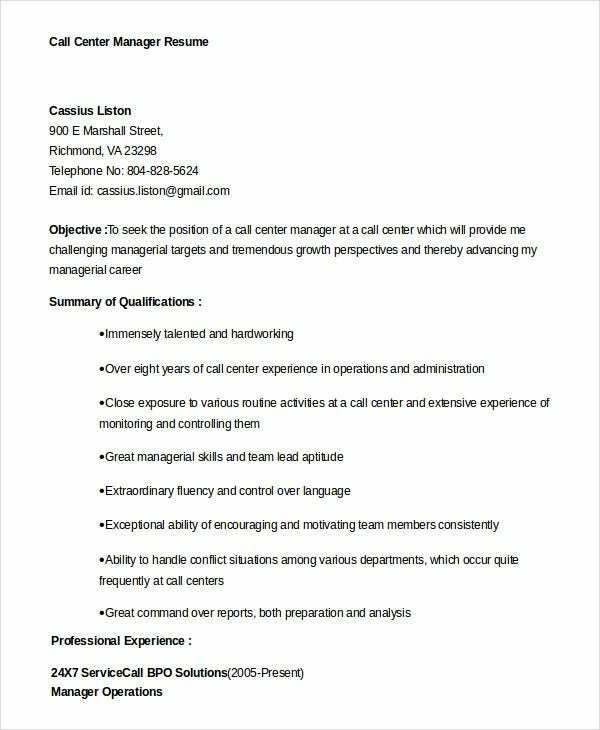 The call center manager resume template is available in Word format. This template can be easily edited and is also printer friendly. The user can add details of his career objectives, past work experience and other information to this template. 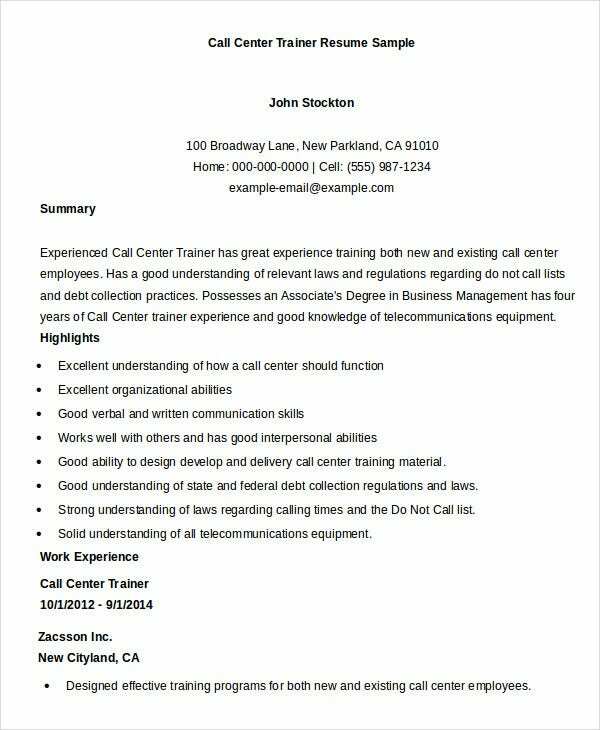 Typically anyone who is looking to bag a job at a call center, BPO or a customer service center can use these pre-drafted and ready to use call center resume examples. Students who are looking for a part-time job at a call center, individuals who are looking to get a job of a supervisor at a call center, BPO managers, individuals or nurses who are looking to get a job at medical call centers and several others can use these templates. You can also see Construction Resume Templates. 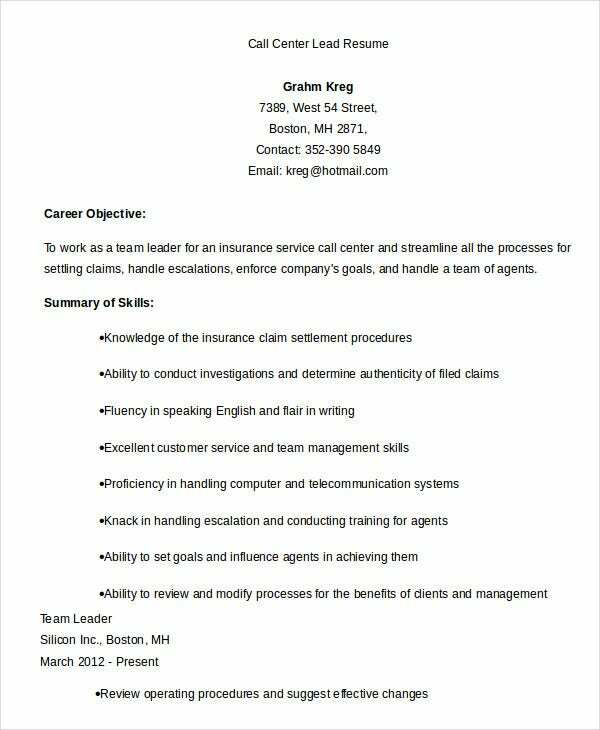 Some examples of job applications that people can use these templates for include job applications to the mobile network providing companies, car insurance companies, health insurance companies, telebanking organizations and various others. 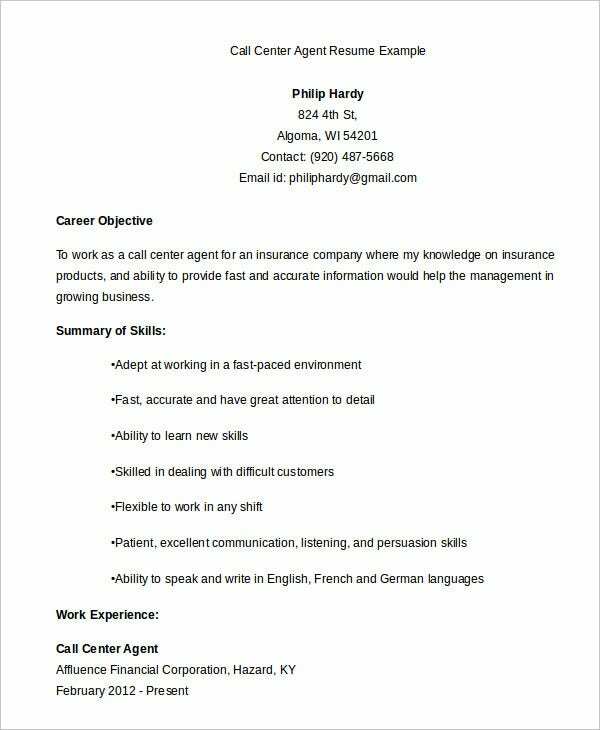 The call center representative resume is a free of cost document available in Word format. This template has space for the user to fill in details of his qualifications, past work experience, and other information. 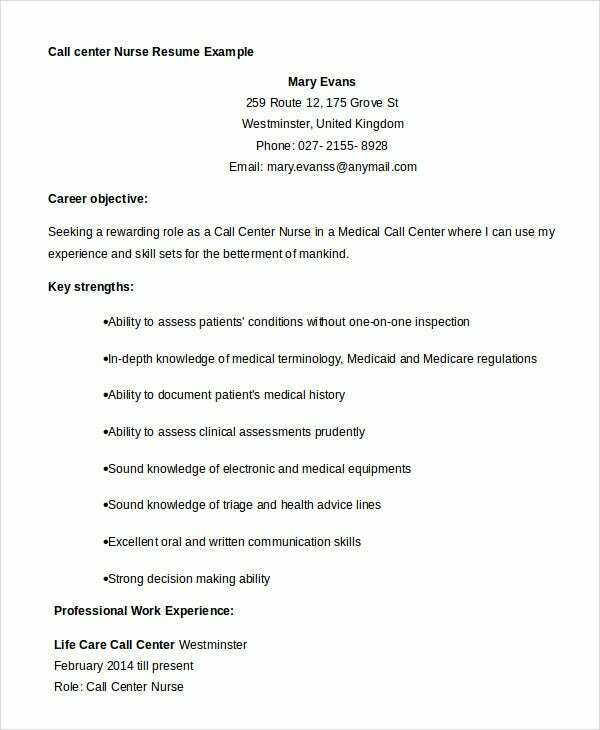 Those applicants who are looking to get a job at a medical call center can use the call center nurse resume example. This template is available in Word format and can be easily edited. You can also see Software Engineer Resumes Templates. 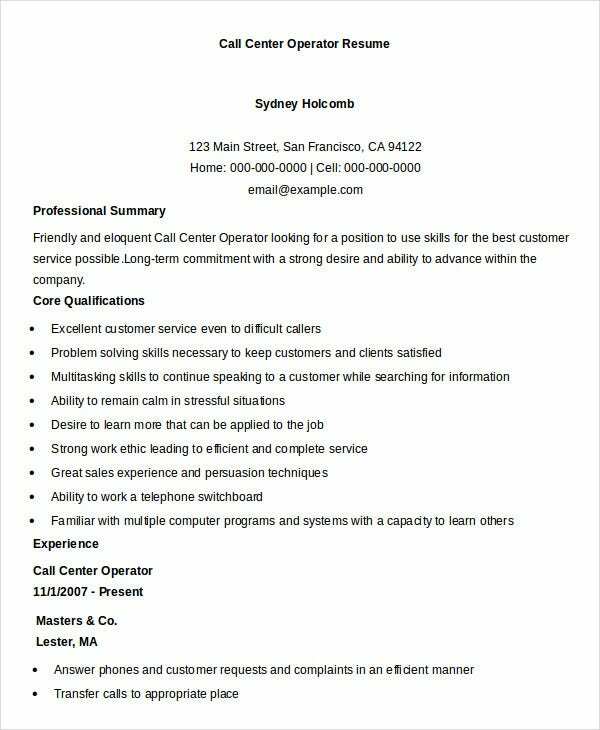 The call center supervisor resume is ideal for those applicants who are looking to bag the post of the call center’s supervisor. This template is available in Word format. The user can edit the template as per his requirements. 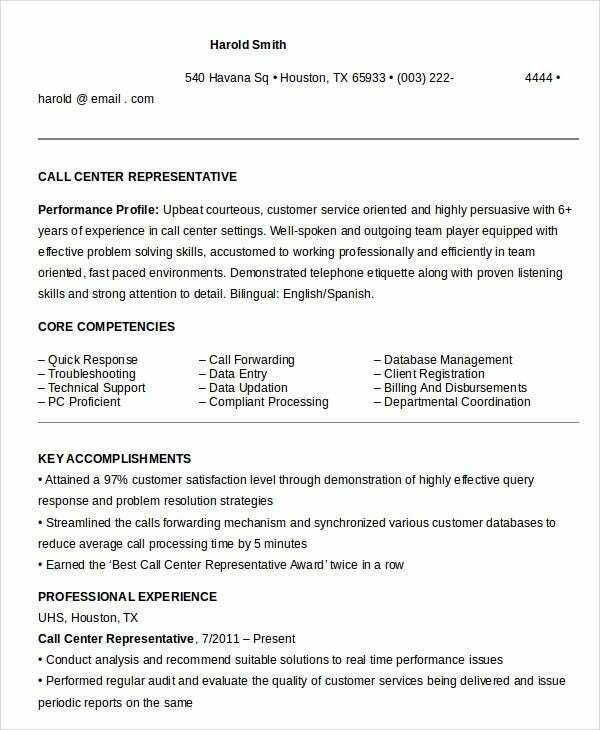 > What Are The Benefits Of Using The Call Center Resume Examples? The call center resumes have a variety of benefits. First and foremost, these templates are absolutely free of cost. The user need not pay large sums of money to get a professional to draft the resume for him. Another reason that these templates are beneficial is because of their convenient and universally accepted formats. You can also see Accountant Resume Templates. Users can access these templates on almost all operating systems including their smartphones. Additionally, these templates are also beneficial because they can be saved and re-used as per the requirement of the user. Lastly, these templates are beneficial and useful because they are time-saving and printer friendly. So, if you’re looking to impress your interviewer with your resume, you have come to the right place. Just select a resume that best suits your requirements from the above-mentioned list, download it, edit it and print it out or email it. You will find these templates extremely handy and useful.